Adam Angeloni (centre), with some of the apprentices at Downsview Park in Toronto. Adam Angeloni didn’t plan on having a career in the green profession. In his first career, he spent years making his way up through Toronto’s TV and film industry on the production side. Feeling a responsibility to the environment and that he wasn’t staying true to his personal beliefs, Angeloni decided he needed a career he thoroughly enjoyed, that was also unique, and one he could be proud of. “I proceeded to find the nearest garden centre and begged for a job,” Angeloni says. A year later, with a child on the way, Angeloni was enrolled in the Apprenticeship Program and was earning $10.50 an hour. “I couldn’t have been any happier,” he recalls. Now, Angeloni is Manager, Parks and Surface Area Operations at BGIS, a world-wide company that provides consulting, management and services to occupiers of real estate. BGIS currently holds the facility management contract for Downsview Park in Toronto. 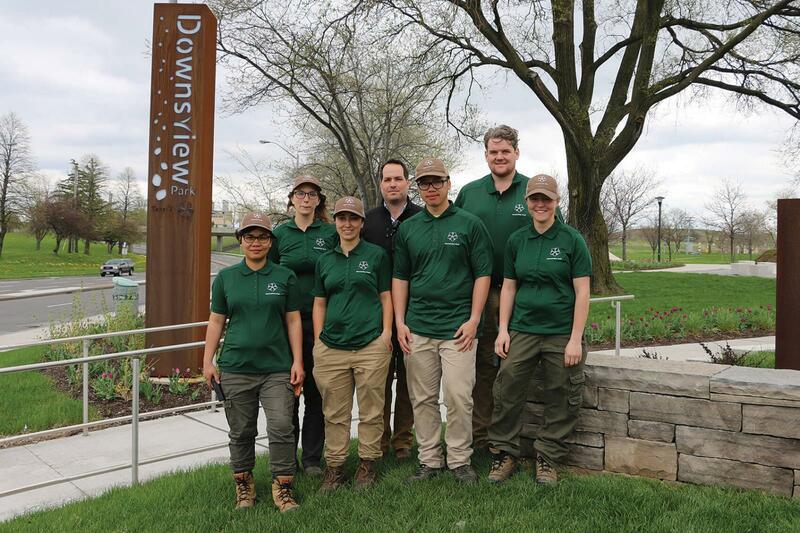 At Downsview Park, Angeloni mentors a team of the next generation of landscape professionals, many of whom are at various stages within the Horticultural Technician Apprenticeship Program. Having completed the program himself, Angeloni is a certified Red Seal horticultural technician and says he owes that, and his current position at Downsview, to former teacher and mentor, Paul Ronan. During his first semester in the Apprenticeship Program, Angeloni sought the advice of his teacher in order to set out some new goals. “I expressed my goals and concerns, and Paul knew what I wanted,” Angeloni explains. “He listened and believed in what I wanted for myself.”Ronan is still a mentor and personal friend to this day. By encouraging and supporting his team members to participate in the Apprenticeship Program, Angeloni has created a culture where team members feel valued, appreciated, trusted, confident and responsible for the success of everyone involved. All of Angeloni’s apprentices feel a genuine gratitude for the investment, support, encouragement, commitment and opportunities provided to them through the employer sponsored Apprenticeship Program. On the employer side, having staff engaged in the program goes a long way in helping with employee retention and recruitment. The Horticultural Technician Apprenticeship Program is offered at five post-secondary institutions across Ontario. The program consists of approximately 80 per cent on-the-job training and 20 per cent in-class training over two 12-week winter semesters. For more information on the program and employer incentives, visit HorticultureTechnican.ca. 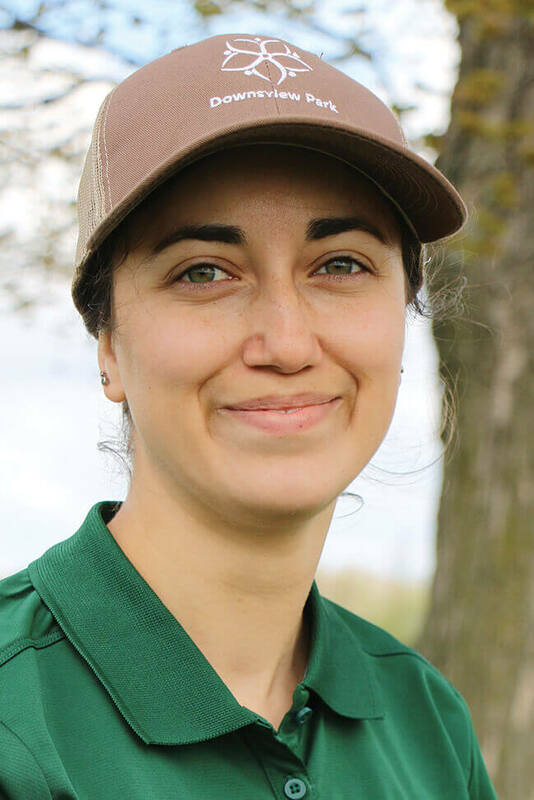 Christine Balmes has worked in the landscape profession for just one year, and is new to the team at Downsview Park. 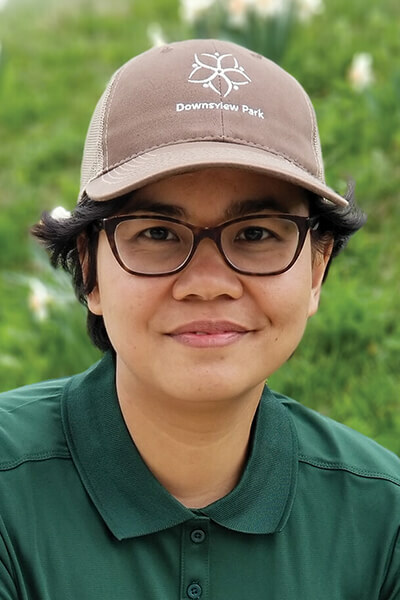 She says, “Downsview Park is a great place to learn and a wonderful place to work.” Having completed her first year of in-class training, she plans to complete the entire program and ultimately obtain her Red Seal. “I like the opportunity to be certified because it gives me the ability to work anywhere in Canada,” she says. 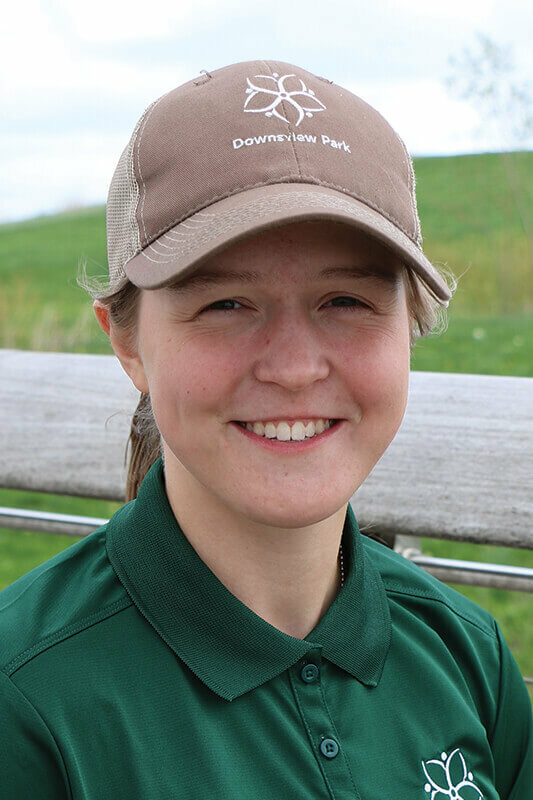 New to the Downsview Park team this season, Madeline Midgley has worked in the profession for about three years, and had never heard of the Apprenticeship Program until she had talked with Adam Angeloni. In her first season at Downsview, Janakai has completed her first year of in-class training for the Apprenticeship Program. Janakai says her previous employer, Malcolm Shute, really encouraged her to pursue the program. Rosalyn Endlich was hired three years ago to take care of, and further develop, the public orchard at Downsview Park. Endlich is a senior member of the team who has completed the program and is now ready to write her Red Seal exam. “Early on, my boss, Adam Angeloni, began encouraging me to learn more about the program and to consider it as an important next step in my career,” Endlich recalls. 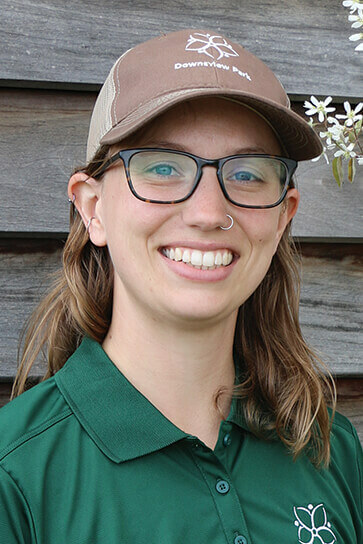 With a strong academic background, but not much experience with horticulture or parks, Enlich says she decided to take Angeloni’s advice and pursue apprenticeship because she loved her job and was eager to learn more and to build her skills. 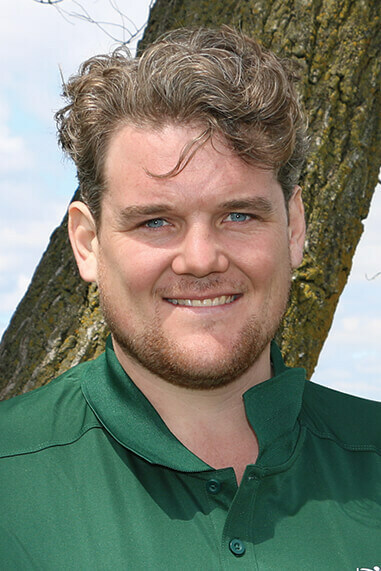 Preston Taylor is one of the senior members of the team at Downsview Park. Now in his fifth year in the profession, four of those at Downsview. Taylor has completed his second year of in-class training and Taylor says “the amount of variety and experience I get working with Adam in one year is definitely more than I would get working for four full years anywhere else.” One of Taylor’s priorities is the maintenance of the large, wide open turf area that is used almost every weekend in summer for large concerts and festivals which can wreak havoc on the area. For Preston, the fact his employer has invested in the program means they are also committed to improving the overall professionalism of the industry and well as realizing the benefit skilled workers can bring to the workforce.